The Ontario Trillium Foundation awarded the Haliburton, Kawartha Lakes, Northumberland Drug Strategy a grant for three years, which started in July 2016 and will end in December 2019. These funds have been directed toward the development of a local drug strategy, including hiring a coordinator for the region, hosting community consultations, and initiating project work with partners to address issues related to substance use in Haliburton County, City of Kawartha Lakes, and Northumberland County. 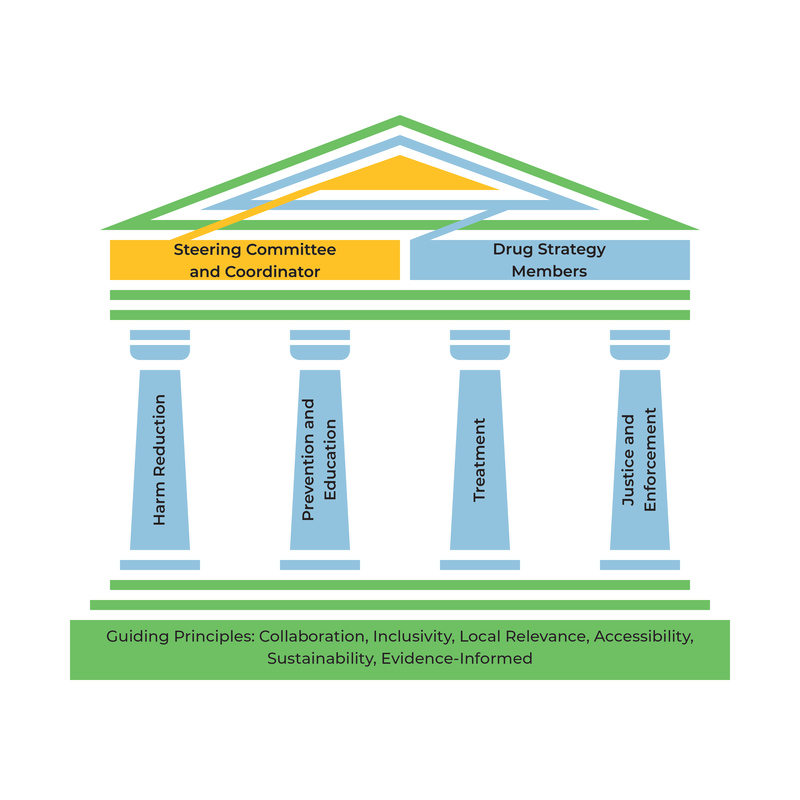 Four partners came together to submit the application on behalf of the HKLN Drug Strategy, each representing one of the 4 pillars of a drug strategy approach. The four partners on the Trillium application are PARN – Your AIDS Resource Network; the Haliburton, Kawartha, Pine Ridge District Health Unit; the Four Counties Addiction Services Team (FourCAST); and Kawartha Lakes Police Services. Many municipalities, counties, and urban centers have established drug strategies and/or overdose prevention plans; many of which were reviewed and considered in development of this Drug Strategy. The HKLN Drug Strategy is also a part of the Municipal Drug Strategy Coordinators Network of Ontario (MDSCNO), a network of municipal or regionally-based drug strategies that have a wide-range of expertise on issues of substance use. Having a local drug strategy will help to ensure coordination of efforts and consistency of approaches used, will improve communication between and opportunities for involvement from multiple stakeholders over a wide geography, and enable the region to better respond to evolving substance use trends and harms together as a community. The HKLN Drug Strategy respectfully acknowledges that the work we do is located on the traditional territory of the Mississauga. This territory is covered by the Williams Treaty, Treaty 20, Treaty 27, and Treaty 27 1/4. The HKLN Drug Strategy respectfully acknowledges that the Mississauga Nations are the stewards and caretakers of these lands and waters in perpetuity, and that they continue to maintain this responsibility to ensure their health and integrity for generations to come.